Valentine’s Day is quickly approaching, and the pressure is on to plan the perfect date for you and your significant other—or for you and your emotionally unavailable homies. As college students with limited budgets, we sometimes have to get creative in showing a person how much we care about them without breaking the bank. Here are a few different date ideas that will keep you thrifty and thriving on or before Feb. 14. On Feb. 14 from 6:30 to 9:30 p.m., Thornton Park District will transform into an interactive local art event featuring great drinks. There will be art, live music, stilt walkers, tarot card readers, and other entertainment. A two-for-one ticket presale deal makes the date only $17 once all fees are added. If you wait, though, tickets will increase to $15 per person. Location: 712 E. Washington St. The Orlando Gay Chorus, the largest mixed gay choir in the country, will perform its annual cabaret show on Saturday, Feb. 9 from 7:30 to 9:30 p.m. at Blue Bamboo Center for the Arts. 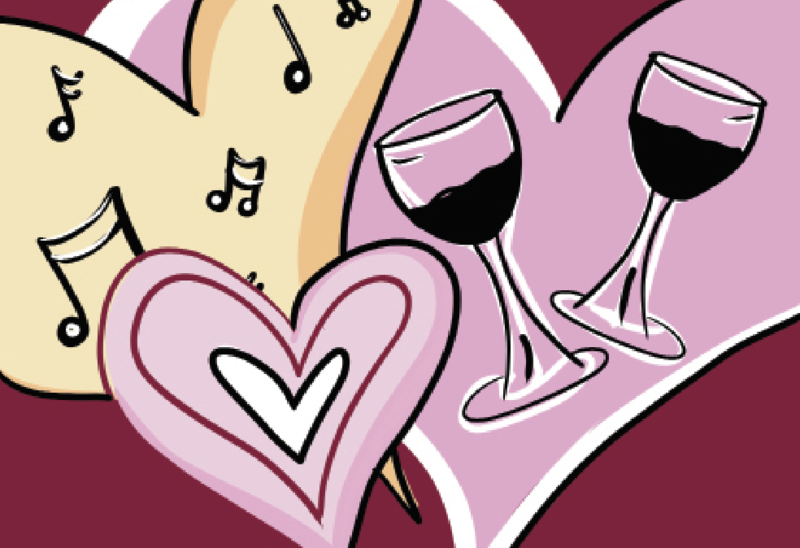 This year’s theme is “Love is… Duets” and will feature various styles of songs about all types of love. In the past, the performance has included songs about food, dance, and percussion. Tickets are $20 and sold in advance. This date definitely leans more toward romance. From 7 to 10 p.m., you will be treated to beautiful, live music by Ricky and the Buzzcats, and you can bring your own picnic—alcohol is allowed! Make sure to bring lawn chairs or blankets to sit on, since it is outdoors. Advance tickets sell for $15, and on the day of, tickets will sell for $20. Location: 1920 N. Forest Ave.
Á La Cart is a trendy new spot in town, and it is only about 10 to 15 minutes from campus. It features five tasty food trucks, plus an inside bar with a rotating selection of beers, wines, ciders, and coffee. On Valentine’s Day, the venue is doing a “Sours and Stouts” night with craft beers. You can choose your treats and then take a seat in the adorable outdoor seating area. There is also a selection of lawn games to play. Orlando Brewing is offering a beer and chocolate pairing on Valentine’s Day. It is self-guided and includes four five-oz. beers paired with four locally-made chocolates from CayCakes Bakery. The event is $18 per person and lasts all day from 3 to 10 p.m. Make sure to get your tickets in advance.